There are 2 major wine trails in Southern Michigan. The Pioneer Wine Trail in Southeast Michigan and the Lake Michigan Shore Wine Trail in Southwest Michigan. 10 wineries/tasting rooms in the East and 12 in the West provide an opportunity to enjoy some of Michigan’s finest local wines. Numerous B&Bs in Southern Michigan complement both regions and are a perfect tie-in for the clientele that enjoy both industries. In the early 19th century, pioneers settled the areas of Southeastern Michigan. Today, Michigan’s newest pioneers are growing grapes and making wine in these areas. The Pioneer Wine Trail region is a great place to spend a few hours, or a few days. The Trail starts in Blissfield and winds its way through the beautiful Irish Hills, north to near Lansing and includes 10 wineries/tasting rooms. Stop at the wineries, meet the vintners, taste their wines, and perhaps stay overnight at Dewey Lake Manor. This Brooklyn Michigan Bed and Breakfast is midway between Pentamere Winery in Tecumseh and Cherry Creek Winery, just west of Brooklyn. The Munro House is a B&B in Jonesville that is within a half hour of the Cherry Creek Old Schoolhouse Winery in Somerset and Sleeping Bear Winery in Parma. Munro House has featured Sleeping Bear wines at their regularly scheduled Murder Mystery Dinners. Lake Michigan Shore Wine Country has been called the Napa Valley of the Midwest. This land is ideal for handcrafting fine wines just like the hills of Califtornia. Charming resort towns and incredible shoreline are the ideal combination for touring and tasting in Southwestern Michigan. Lake Michigan Shore Wine Trail runs throughout the Southwestern lake shore region of Michigan. It starts near the Indiana border and continues North to Saugatuck. A dozen member wineries plus several additional tasting rooms are conveniently located throughout the region. 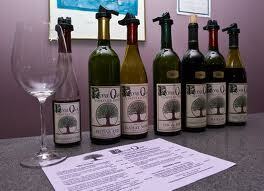 Fenn Valley Winery has its new event list out for the month of March which includes Wine & Food Paring Weeekends. 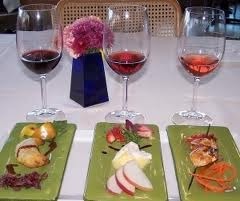 Taste several unreleased wines paired with food samples at no charge. Order any that you like and save 25-30%. Note that reservations are required for these special events. J Paules Fenn Inn is located at the North end of the trail. It is a charming bed and breakfast near Suagatuck that regularly features desserts and wine tasting. J Paules Fenn Inn is just a few minutes from Fenn Valley Vineyards and Wine Cellar in Fennville. This entry was posted in Things to Do and tagged Dewey Lake Manor, J Paules Fenn Inn, Michigan Wines, Munro House Bed and Breakfast by admin. Bookmark the permalink. Superb wineries and the B&B's are even better! There's no wine like that made in Michigan, and no place to stay like a Michigan Bed and Breakfast!